BEN provides transaction services helping its customers in the due diligence process. We do believe that M&A activities are a key aspect of strategic management, and due diligence is a very critical activity that has yet to be carried out in a very limited time. 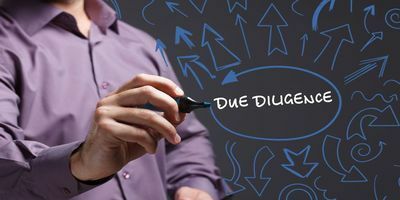 Due diligence refers to the care that a company should take before entering into an agreement or a financial transaction with another party. The seller’s concern generally has to do with the buyer’s ability to purchase and to ensure continuity of operation of the acquired entity and thus the employment level. How do you rank the company’s management? Is the business capable to generate cash in the future? What are the trends of the markets served by the company? What is the position of the company vis à vis its competitors? What is the value of the material and immaterial assets? Is the debt structure adequate and affordable? What are the contingent liabilities and problematic contracts? Are there any threats or risks that may materialize in the near future? What are the synergies that derive from the merger with the Buyer’s operations? We analyse the information provided in the data room and collect, on independent basis, further information and references that may help in defining a clear picture of TargetCo’s operations. We attend management presentations, visit the headquarters and the operating sites. We analyse the market segments where TargetCo operates, in order to understand the competitive environment, understand trends and build scenarios. We build a comprehensive and bottom-up based financial model that enables to analyse the past and future performance of TargetCo under different scenarios, that are defined on the basis of the market analysis, taking into account the identified risks and their probability of occurrence. We often use the Montecarlo method to provide a statistical assessment of the scenario evaluations. We help in the evaluation of the enterprise value and of the equity value of TargetCo under different scenarios, on the basis of the discounted cash flow model or on other evaluation methods, depending upon the characteristics of TargetCo’s operations. We estimate the synergies that may derive from the merger of TargetCo’s operations with the buyer’s operations. We help the buyer to define a plan for integrating TargetCo’s and buyer’s operations.